Continuing on with our unplanned international week. This past weekend one of us went visiting parents. The mother go her shipment of holiday goods early and the order was accidentally duplicated. Nothing had to be returned however. So with extra Stollens to spare one was given to go and brought to cake hour today. 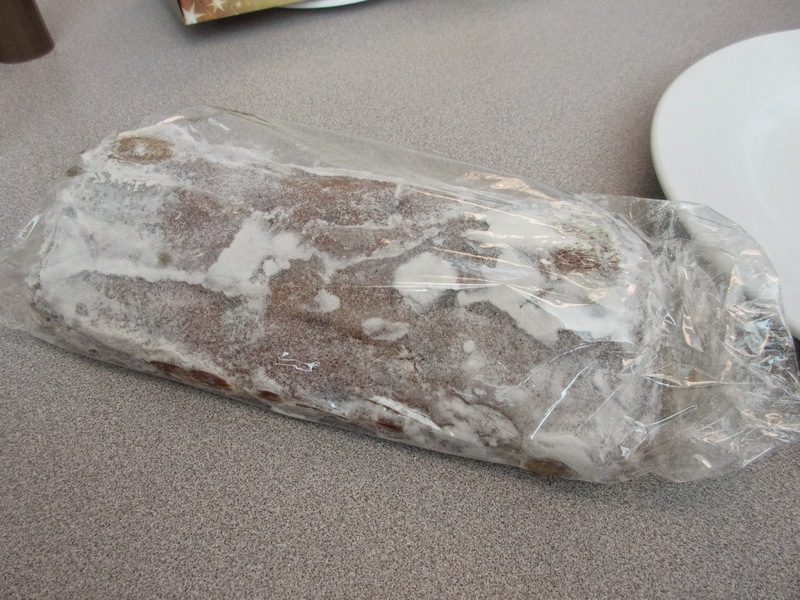 Keeps for a long time - no stale date needed! Fresh out of the box - traditional shape! All sliced and ready to go! We have seen this many times before. 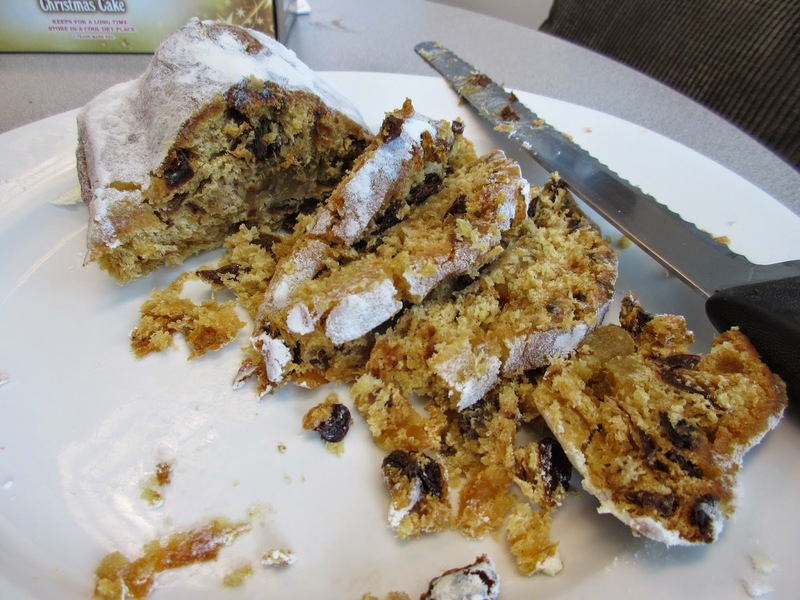 Stollen is the traditional German Christmas cake. 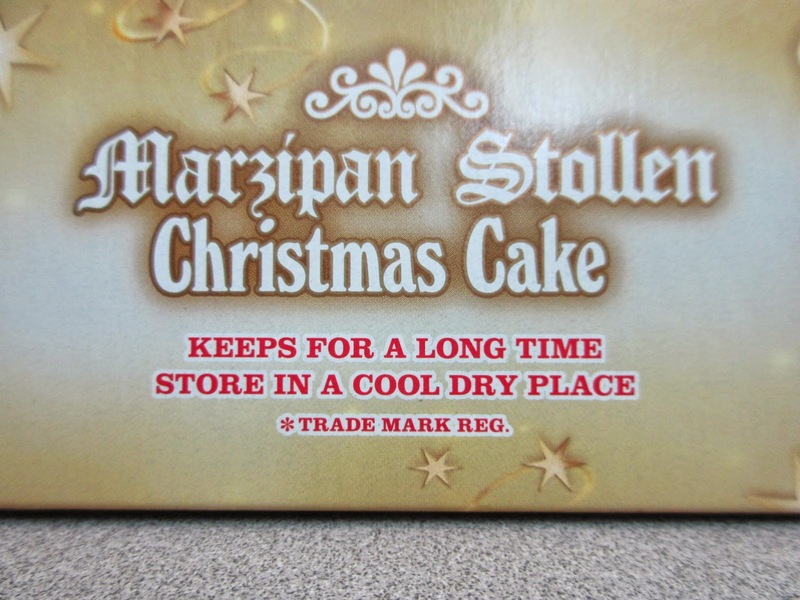 This version is the Marzipan Stollen meaning it has a marzipan filling inside. 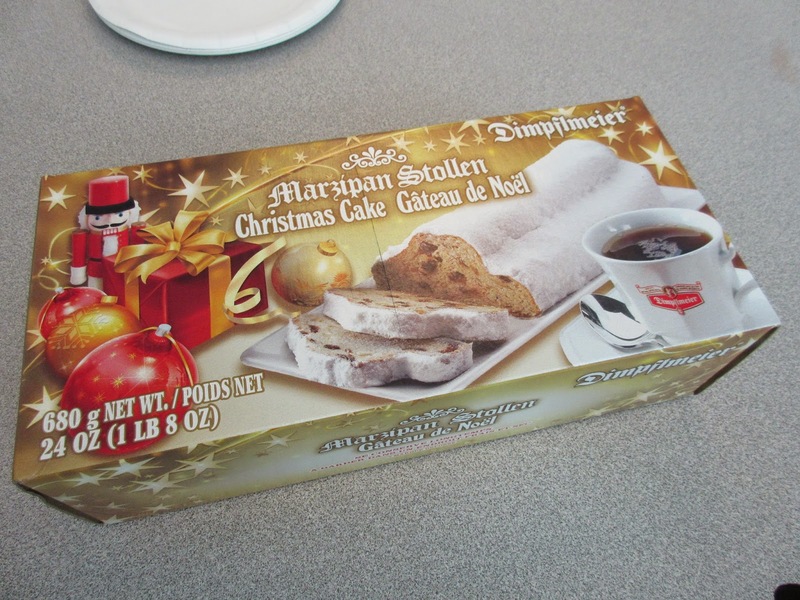 It is made by Dimpflmayer in Canada and as it says on the package it keeps for a long time! The marzipan version is our favorite as it is always good and moist and the marzipan adds a nice flavor touch. It did not take that long for this to disappear! 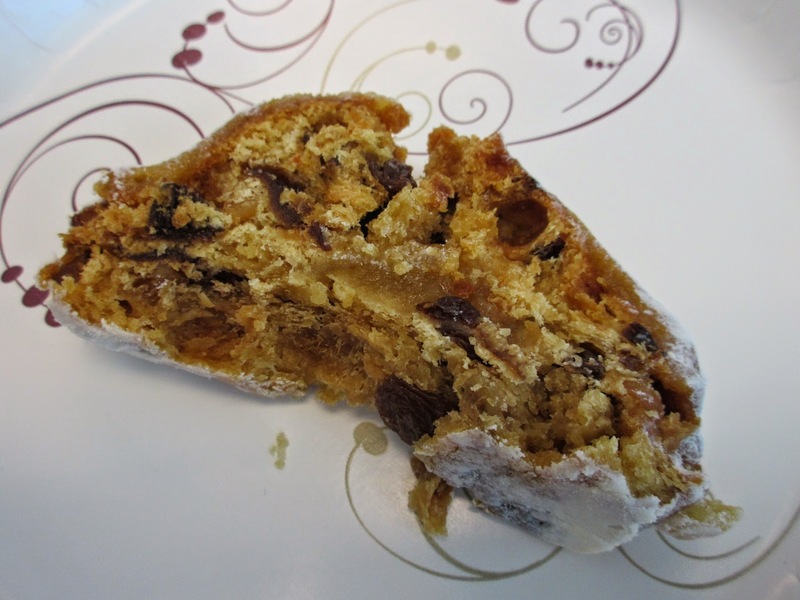 Typical raisins, candied fruit, slivered almonds and some marziapn! Yesterday, China - Today, French treats via Japan. We had another international treat today! This one actually came from Japan and was not produced by an American subsidiary of a Japanese company! One of our colleagues from the Japan was having a visit from his mother from Japan. Included with her luggage was a box of treats that made it to cake hour. This was our package for today- right from Japan! Notice the very Japanese sounding name! As usual - several layers of packaging! 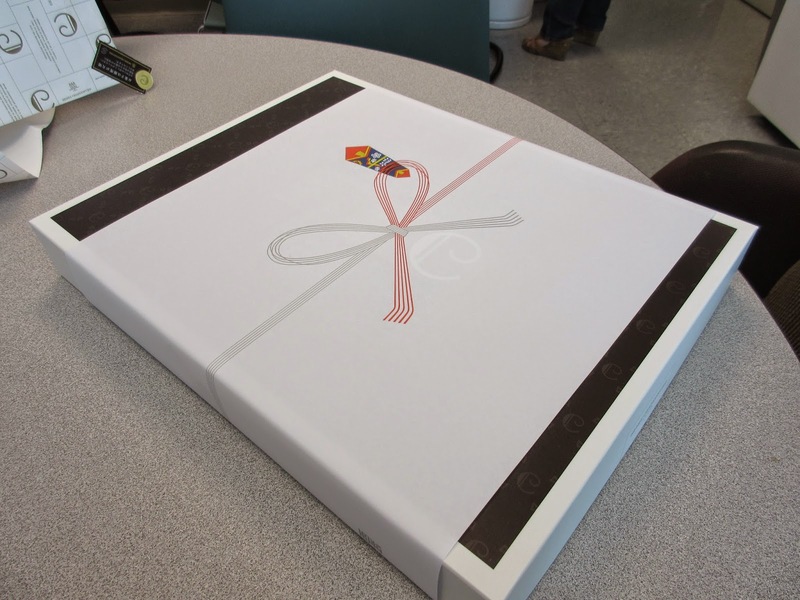 But finally you get to the box with the company logo! 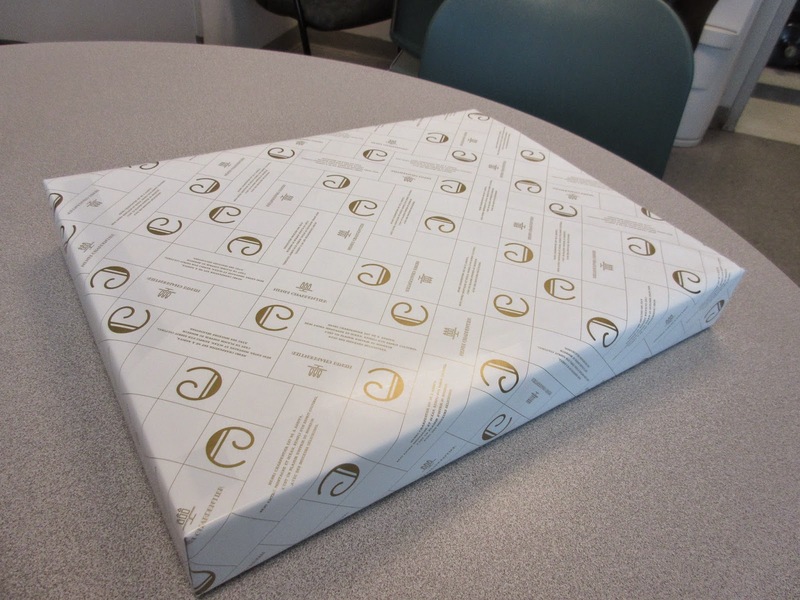 As one expects from a product made for Japanese consumers, the box was very well and decoratively wrapped. Notice the name, however! 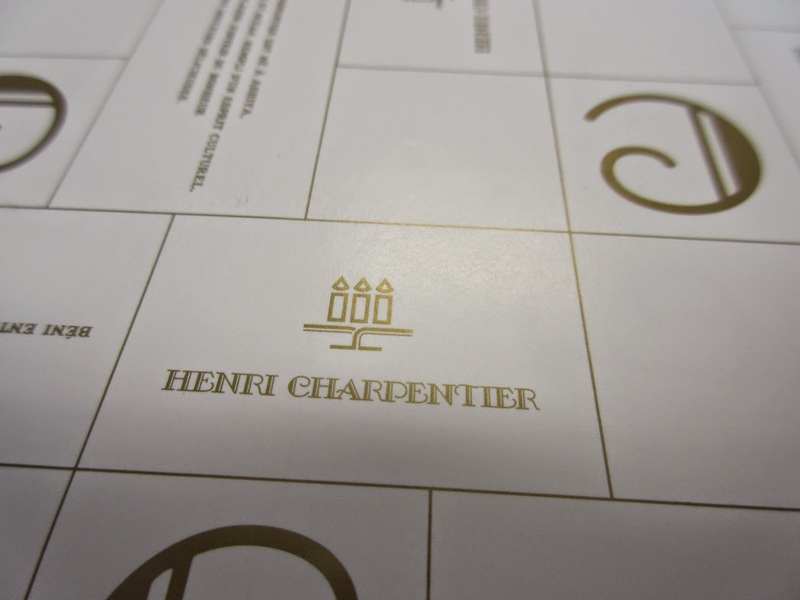 Henri Charpentier!! Not exactly a Japanese sounding name, is it? Apparently Henri was born in Ashiya, Japan. The byline on the package says, in French, "He was born in Ashiya blessed between mountains and ocean and filled with a cultural spirit. It is a pleasure to offer happiness with these delicious sweets!" Very nice!! This logo has a message! 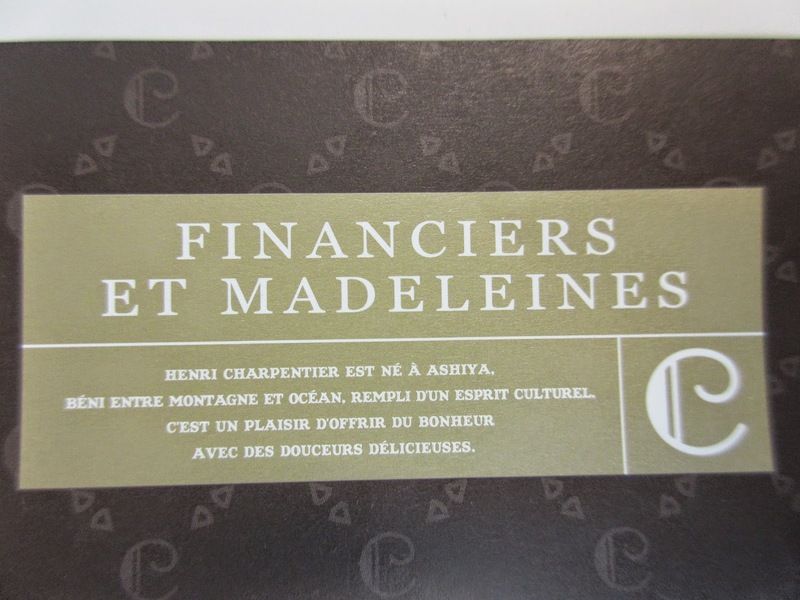 The types of sweets we expect to find are called Madeleines and Financiers. These are both known French confections. 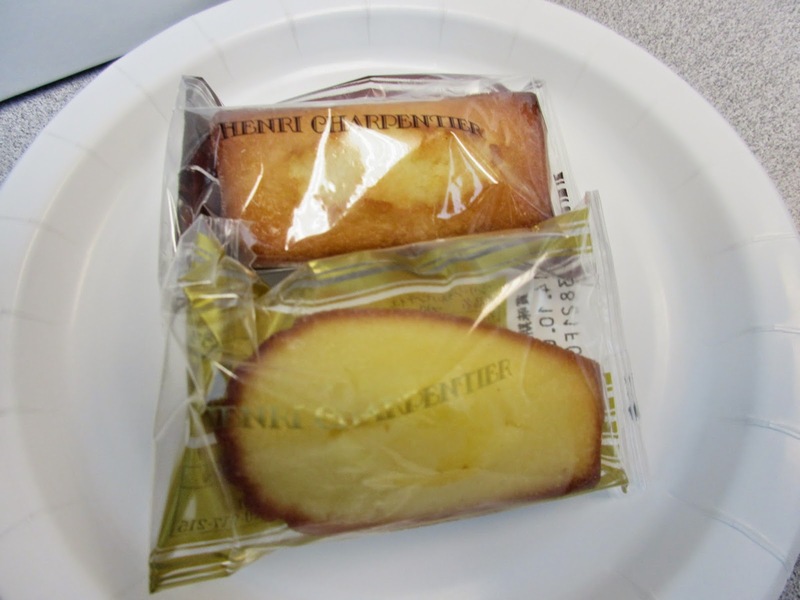 Financier is a small French pound cake that resembles a gold bar - hence, possibly, the name. It uses brown butter so is darker than a pound cake. 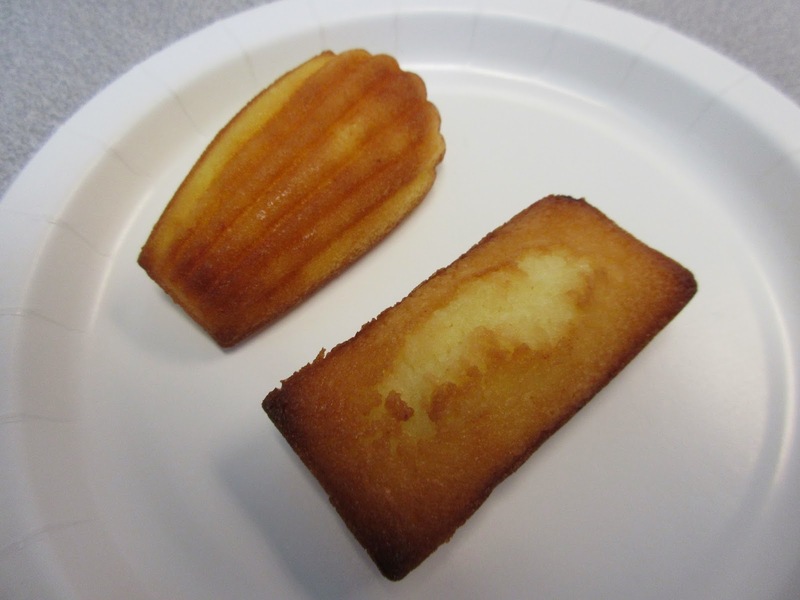 A Madeleine is also a pound cake but is made in a distinctive shell shaped mold. The traits of both of these are well reflected in what we had today. More wrapping for the two treats! 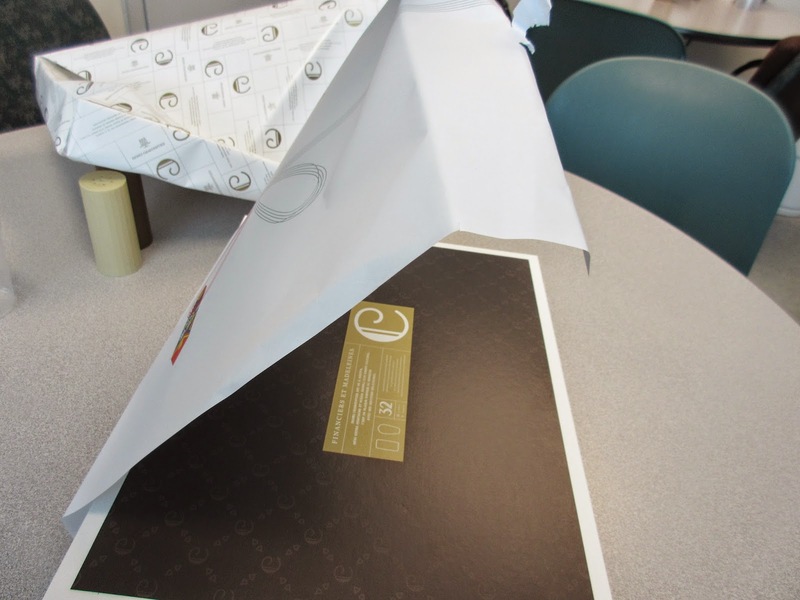 In addition to attractive wrapping, Japanese products usually have several layers of packaging. 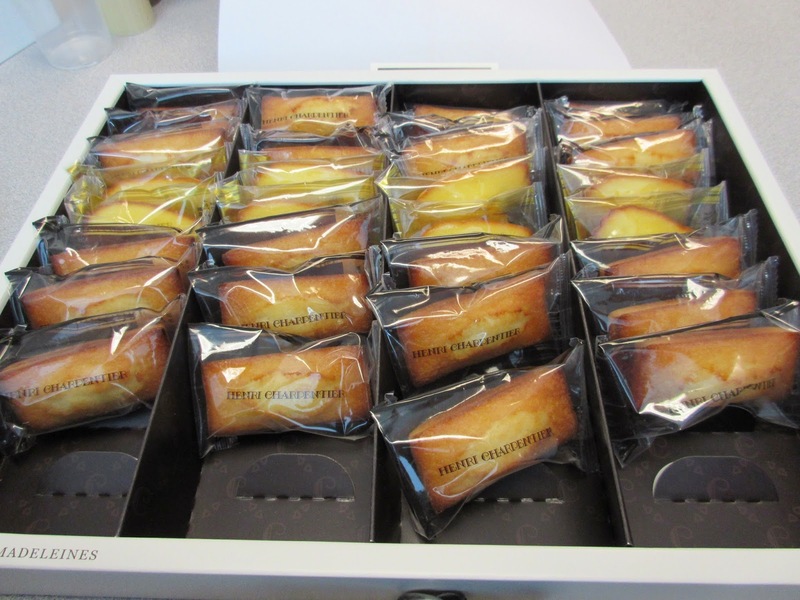 This was no exception but once we got to the box and opened it there were several individually wrapped offerings of the two types of mini-cakes. Being wrapped individually kept them moist. They were also very good tasting buttery and not overly sweet. And again they went down very well with tea or coffee! It was a nice bi-cultural offering today getting some French treats by way of Japan. Top is the Madeleine and bottom is the Financier! For future reference! It's time for the August Moon Festival!! Cake hour is still going strong...just getting to blog about it gets a little behind. Today was the festival of the August Moon. That is what is called in Western Culture. It is a holiday of the far East including China, Taiwan, Vietnam etc. 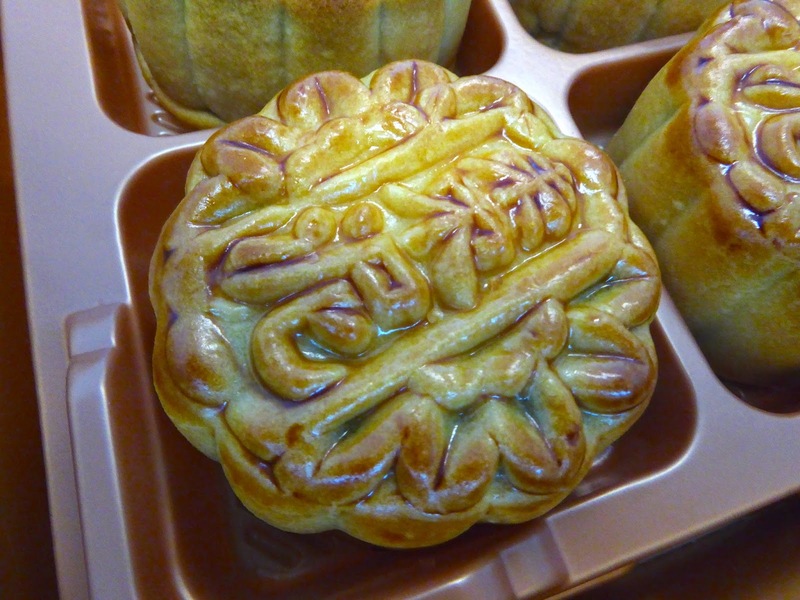 There is referred to as the mid-autumn festival. You might think they would call it the end of Summer festival because that is when it takes place not in the middle of autumn. But, whatever! 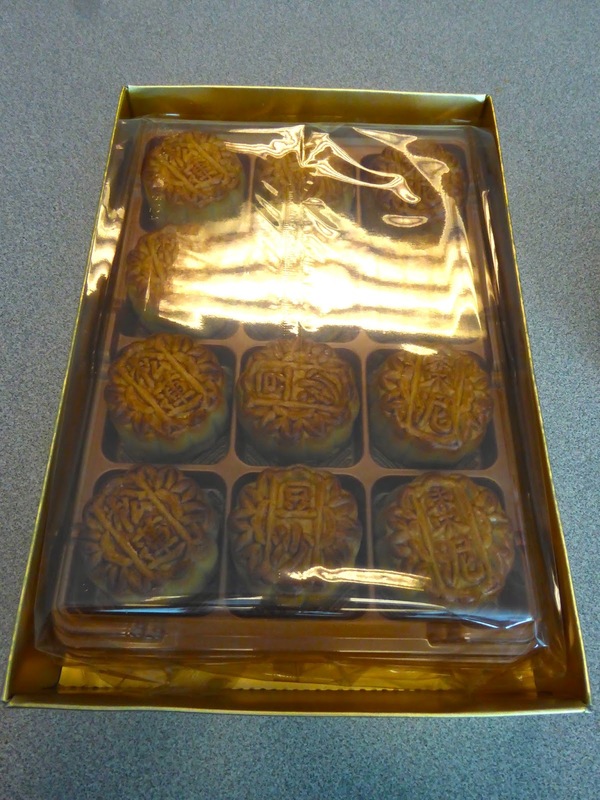 It is sometimes called the mooncake festival because it is when traditional mooncakes are served up. For the uninitiated these are pastry shells filled with sweetened bean or other fruit paste. 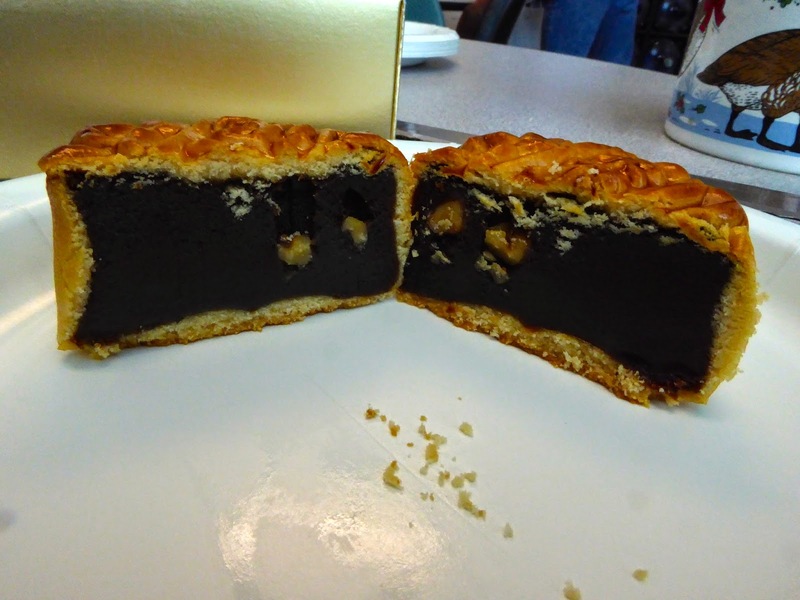 It is like eating a pie crust with some thick pie filling. 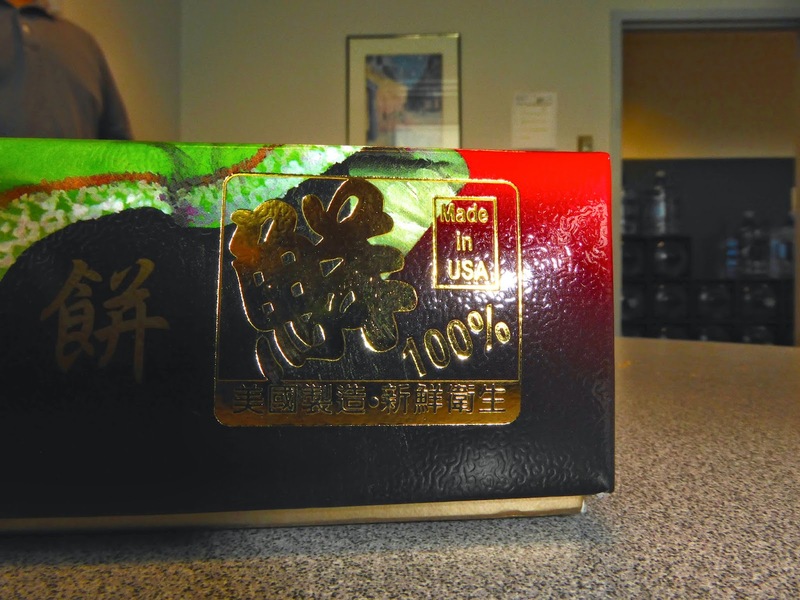 Chinese Specialty made in the good old USA! 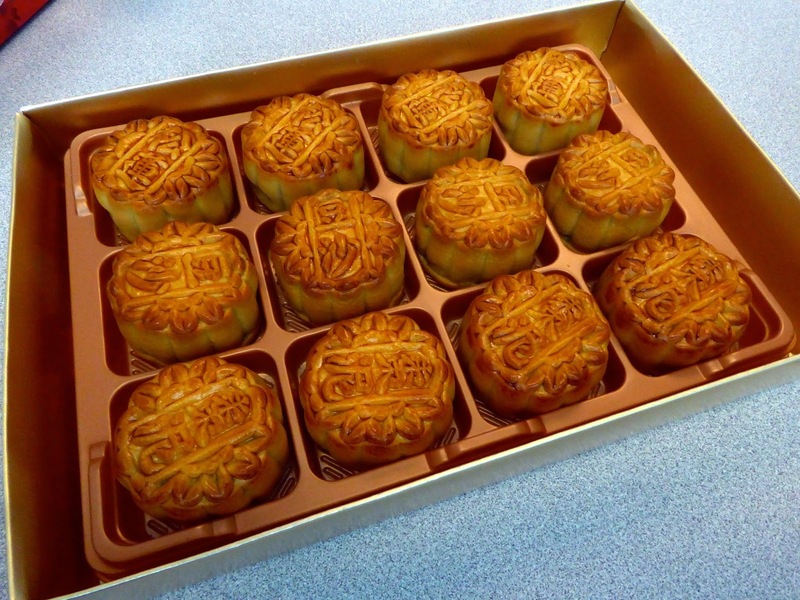 Nice looking set of moon cakes! The ones we had today were from a Taiwanese company with a subsidiary in California. 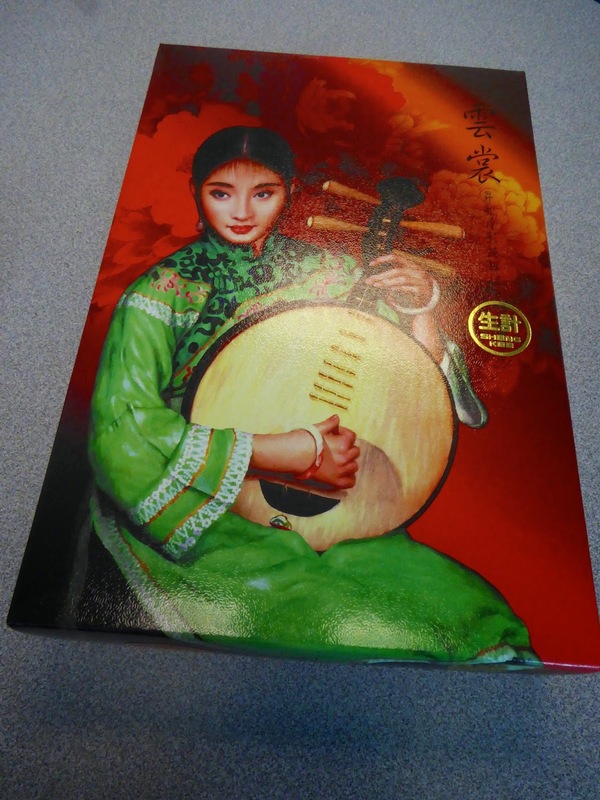 Authentic Chinafornese as it were. They came in a nicely decorated box that was typically over packaged. Did they really need a hard plastic box inside the main box? These were relatively small in comparison to others we have tried. One thing we liked about them was that the Chinese characters created within the pastry part on top apparently identified what the filling was. This was a very clever and decorative way to let you know. If you were unsure of what was inside and if you liked it, you did not have to stick a probe in the bottom in the hopes of finding out what you are getting like some people do with filled chocolates. The fillings included black bean, date and pineapple - or we think one of them was pineapple. 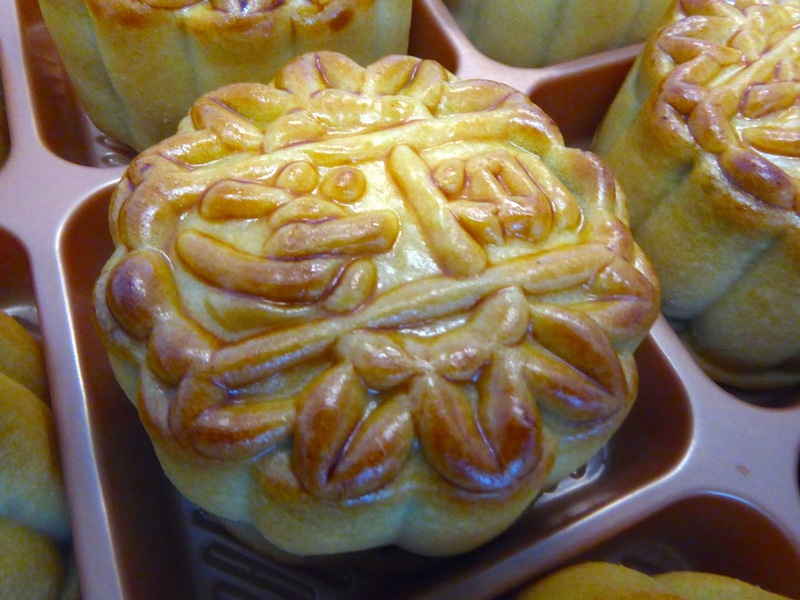 Chinese characters in pastry are a neat touch! Could be date, black bean or pineapple. These tasted good. They are never very sweet but can sometimes be a little on the dry side. That was not the case with these. Typically they go well with coffee or tea and these certainly did. We were glad to be able to have another cultural event and celebrate with our Chinese colleagues. Happy August Moon! And this is typical filling. All in all they are like fig newtons!